I love needlework, always have. It was so popular to embroider your jeans and workshirts when I was a teenager in the 1970's. I did a lot of that. I picked up this book at a thrift store quite a while back. I've been planning (I make a lot of plans) to start a project ever since. 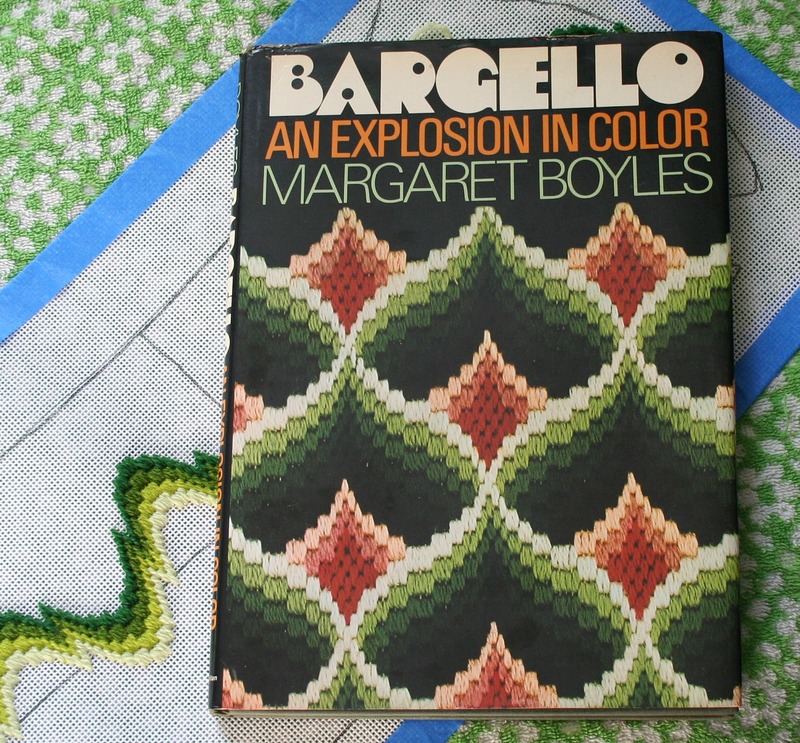 I've recently become quite enamored of bargello patterns. Yesterday I finally put the supplies together and started a piece. I'm already addicted and it's only row 4 so far. Good for you, I like the pattern you are making. 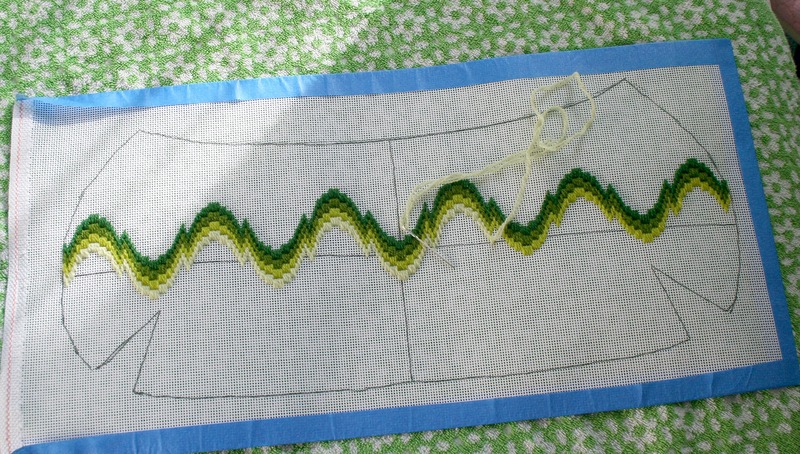 Bargello is the only kind of needlework I can ever say I enjoyed but it has been MANY years. My attention span is so short now I think I would have to make a coaster to have any hope of finishing it! I have this book, too, as well as others from this era. Love them. Love needlework. 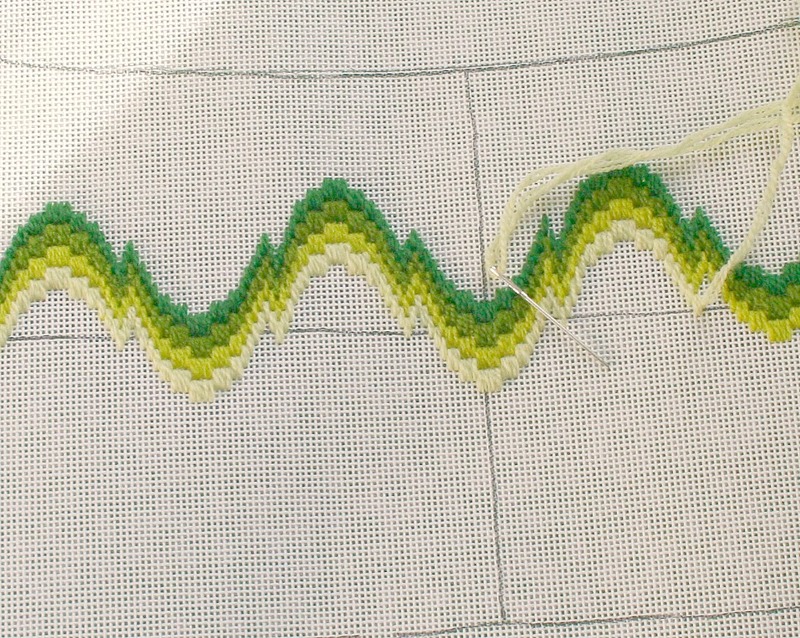 I think you’ve prompted me to start a Bargello design even though I’ve got embroidery projects that need to be completed! Can’t wait to see it when it’s done.